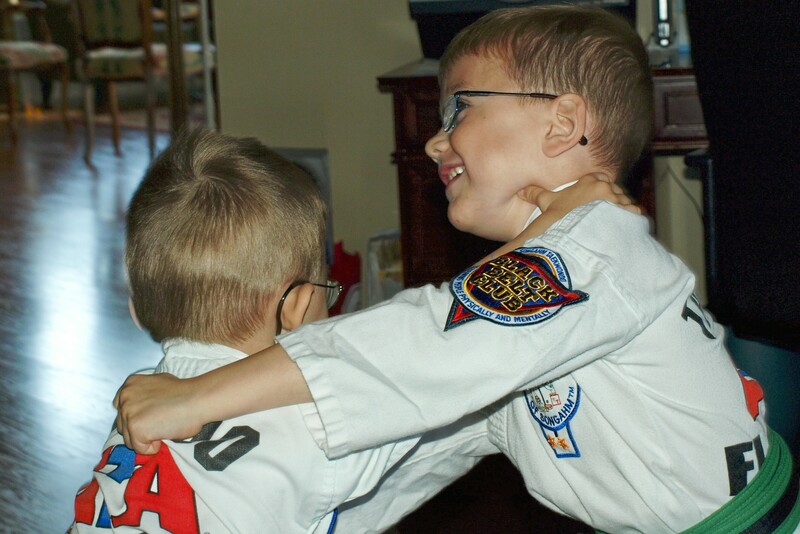 Tae Kwon Do for two over-active boys is absolutely the perfect sport. It’s all about structure, discipline and respect (my personal fave). As much as I struggle getting them to regular classes, the pay-off has been bigger than my frustration. To hear my kids say, ‘yes ma’am’ and ‘yes sir’ is a crowning achievement of my motherhood experience. Some days, it’s all I got. However, I am not a big proponent of introducing Kung Fu weapons to three and five year old boys (especially my three and five year old boys). I have resisted pressure from their school to purchase the latest weapon for their upcoming graduation. It is called a bow staff and honestly, to me, it looks like a glorified stick. I don’t mind them being exposed to the ‘coolness’ of martial arts weaponry while at school (but still, you should see a herd of little students with glorified sticks, just plain frightening); I just don’t want the weapons in my home in any way, shape or form. I expressed my concerns to the instructor. 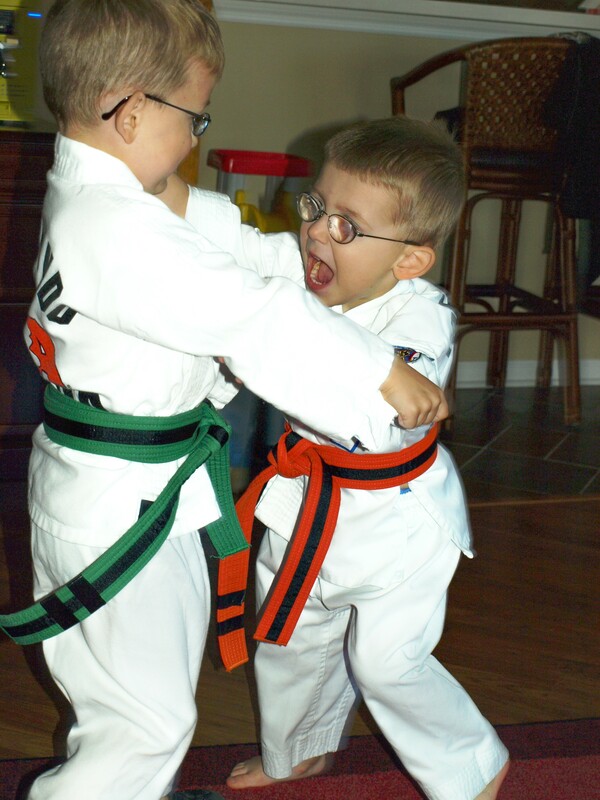 My boys are loose cannons, they are too young and they wear high-powered very specialized glasses just to name a few. He said he understood but in their particular curriculum they constantly introduce new weapons to keep kids interested. I understand the desire to keep things exciting because once you hit school-age, you have access to whole new range of sports and may choose those over Tae Kwon Do. Still, it is not enough to convince me to purchase the bow staffs. At least not anytime soon. The instructor suggested that the boys only use the weapons at school. Then, maybe I could put them in a closet on a high shelf or keep them safely locked in my truck otherwise. As he said to me an image that flashed in my head. I could see Full Speed stealing my keys and driving away bow staff and all.